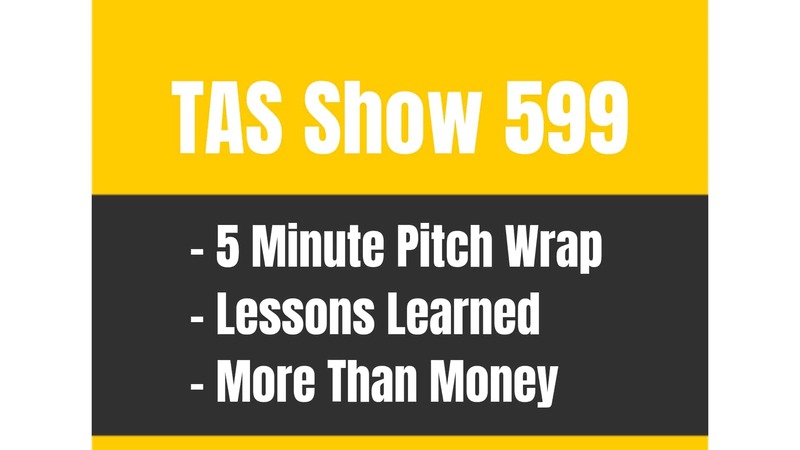 TAS 188 : (Hot Seat) Is My Product Still Worth Selling on Amazon? Being on the “Hot Seat” doesn’t necessarily sound like a pleasant thing. But in this case it could be a powerful helpful place to be. Today’s episode of the podcast is a “hot seat” edition where Scott and his friend Chris look over an existing Amazon product listing to supply tweaks and suggestions on how to maximize sales. Today’s hot seat participant has a product that has begun to sell much less than it once did and he’s curious if he should even put in the effort to maximize its potential, or to just give up and choose different product. Many Amazon sellers ask that same question, so you can learn a lot from this episode. What if I picked a trendy product? We’ve all seen those trendy products that sell like hot cakes for a short time and then fall off the face of the Earth. Selfie sticks are one example that are mentioned in today’s episode. What do you do if your product is one of those trendy items that may not be popular a year from now? Are there ways to leverage it differently so that you can continue to get sales? Are there ways to couple it with other things to create bundles? On this episode Scott and Chris are going to deal with those exact issues relating to the product on the hot seat today. Make sure you listen to get some tips about what you can do with your products, where they are trendy or not. The main image of your product is critically important. The product listing on today’s hot seat edition of the podcast is a great example to teach you the importance of the primary image on your listing. This product is unique in some of its design characteristics, but the main image does not clearly show what it is. When Scott and Chris each went to the product listing page neither of them recognized the product for what it really is. They feel that switching the main image to one that is similar to those of the competitors would be a great step in increase in sales. It’s a simple step that could make all the difference. Find out more of the tweaks Scott and Chris suggest on this episode. Your product category matters – a lot. When setting up your product listing on Amazon you need to be careful about the category you select for your product to be listed under. Today’s hot see participant has chosen a category that is related to the product and both Scott and Chris can see why he chose that category, but most of his competition is in a different category that is more clearly related to the product. They feel that in order to be competitive he should be in the same category as his competition. On this episode will get to hear how they suggest he makes that transition and what effect they think it will have. PPC is not always the answer. The listener who is on today’s hot seat edition has spent more and more money on pay per click and is seeing very little results. Scott and Chris both feel that part of the reason his pay per click campaigns are not being effective is because his listing is not fully optimized. On this episode Scott & Chris walkthrough the listing and give quite a few tweaks that can be done to maximize effectiveness of the natural key words and images in the listing to make the PPC campaigns as effective as they should be. If you struggled with spending too much on PPC you may find some answers to your problems on this episode. [0:18] Who is Chris Schaeffer? [2:50] How you can get involved in future live events. [5:41] The scenario addressed today: Is my product still worth selling? [9:50] Chris’ thoughts about the situation: It’s a trendy product… that’s a problem – AND the price point is very low. [12:39] Scott’s thoughts: Is his niche the right one? [14:13] A tweak to the main image that could make a big difference. [18:00] Clarifying your target market and optimizing your listing and price point. [20:18] Should the seller scrap this product or are there changes he can make? [21:15] The importance of optimizing the listing before doing PPC campaigns. [23:00] What can be done to improve the sales. [23:34] Options for additional and related products. [24:11] The first steps Chris would take to optimize this product. [28:00] One other thing Scott would do – a reverse search on the top 3 competitors. [29:20] The power of using these things as learning experiences. [31:01] The importance of depth of market research and planning. …just bounce ideas back and forth. Now let me just let you guys know, if you guys don’t know Chris Schieffer, he’s a good friend of mine. I actually met him through this Amazon business, since I started my podcast. We were in a mastermind group together in the very, very beginning and we’ve become really, really good friends. He helps me run the live workshops, he helps me run the private label classroom and we just become really, really good friends. We also decided to recently do a live event, it’s called TAS Breakthrough Live. Alright. Those tickets have already been sold and they’ve already been sold out, there’s no more seats available. We’re doing ten hot seats and we have 20 additional seats that people can be there to kind of witness those hot seats and also ask questions, add their advice. It’s a great place to come together alive and this is going to be our first one ever and I’m really, really excited about that. Now, we were doing these hot seats on the podcast to kind of get our training down, we’re getting ready for the big day. We’re going to go ahead and kind of do the workouts before the big game. Right. We’re going to do this again, this is our third one, we’ve already done two other ones. If you’ve missed them, you’re probably going to want to check those out, they were really, really good. We got a really good response from them. That is episode 162 and 174. The links to those will be in the show notes to this episode or you could just go directly to them by heading over to theamazingseller.com/162 or theamazingseller.com/174 and those were great episodes as well and actually I’ll read the titles to those and what they were about. Episode 162 was, Why Are My Sales Slow And How To Increase Them. We actually looked at their product, really looked at their marketing, looked at their strategy and we broke it down and we went back and forth and it was really, really great value for everyone to listen in on that. The other one and more recent one was 174 and that one was, How Should I Launch My Retail Business On Amazon. Someone who already had an established retail business but wanted to then get into the Amazon game and that was another great episode. Today, we’re going to do another great episode and I’m really excited about this because, well Chris and I love talking about this stuff and it’s just a great thing to be able to look at a business and really hone in and see exactly what we think can be tweaked if it can be tweaked at all. Again, these are just our opinions, just our advice from seeing different businesses now that we’ve helped other people. [00:02:48] SV: All right, so I just wanted to give you a little bit of the play by play there and also let you guys know that in the future, we may be doing more live events, I mean in-person events. If you wanted to sign up to our list of notifications or letting you know the details as if that does happen, you can head over to this link right here that is theamazingseller.com/live. Then from there if you sign up on that particular email list, you’ll only be notified when and if we do more in the future in a different city so this way here you can make it to one of those if you want to. They’re always going to be smaller, we want to keep them small because we know that a lot of people learn better and you get more from being in a smaller group. Really excited about this one coming up and I’m sure that we’ll be doing some Periscopes from there and we will be giving you guys the play by play for sure. All right, I’m going to stop rambling and talking right now, you guys can see that I get all excited about this because the hot seats are so much fun and I really do enjoy them, so sit back, relax and enjoy the hot seat. [00:04:00] SV: Okay Chris are you ready to do another hot seat session, you and I both love doing this, are you ready to rock? [00:04:11] SV: Broth? What are you …? Chicken soup? [00:04:16] SV: Yeah, I know I’ve actually heard some studies about that I mean on bone broth and stuff like that, it’s supposed to be really good for you. I haven’t tapped into that yet. Is that the reason you’re doing that or is that something that you just enjoy, beef broth and chicken broth in the morning? [00:04:29] CS: It’s something that I’ve been doing for a while and I don’t have a gall bladder and so it’s harder for me to absorb a lot of nutrients and it’s a way to get a lot of that stuff without taking like a multivitamin. It does that and actually it helps, you and I talked about a little bit in the past, I also do intermittent fasting and so it’s a way to satiate a little bit of hunger. It’s a little bit of protein, a little bit of fat, without a whole lot of carbohydrates, it doesn’t spike my blood sugar, it doesn’t do any kind of that stuff so it’s a good way to start the morning. [00:05:01] SV: Wow, we’ve got a little lesson there this morning from Chris Schieffer, very cool. [00:05:02] CS: Dropping nutrition bombs. [00:05:05] SV: All right, cool. We’ve done a couple of these so far, this is kind of our training, I guess you and I we’re kind of getting ready for a live event which is happening here, May 1st which I’m getting very excited about and depending on when this airs, we’ll either be just about ready to do that or we will be doing that. I’m not really sure how far out this will be displayed or, not displayed what am I trying to say here, I guess heard from everyone so definitely getting ready for that. You and I have been doing these, these are really fun. The audience listeners are really enjoying these, so today we’re going to do another one. What I want to do is I want to play this particular question from one of our students actually, one of the private label classroom students and he had a question and you and I kind of gave him some answers through email and stuff but now what we want to do is talk about it and really just give our thoughts, bounce some ideas off of each other and really walk people through our coaching strategy I guess as far as how that would look and also what we plan to do here in Denver really soon. I’m excited to do so. Are you ready to listen to the question Chris? [00:06:12] CS: Let’s do this brother. [00:06:14] SV: All right, let’s go ahead and listen to the question and then we’ll go ahead and bounce off some ideas. [00:06:17] AMIR: Hey Scott and Chris, hey classmates, this is Amir calling from sunny Singapore. First off, I want to thank you guys, Scott and Chris for all the guidance and support. Unfortunate for me, I joined the PLC in a bit late stage only after my product was being made in China and this is my only regret that I didn’t have joined sooner I’m sure it would have made me some major mistakes as maybe going to see in a moment. To give you a bit of the background on my question, last November, I got presents, something that blew my mind and the same period of time I have heard about the private label business from a friend of a friend and decided to try to manufacture and sell my own version of this cool product I found on Amazon. I didn’t really check the market depth or any of the stuff here that I learned here later on. It was more of a gut feeling and an experiment for me because the product is very trendy, it’s a new product and it has kind of a buzz around it right now. I assumed it’s going to be very competitive market. I was right, it is. It’s kind of like the selfie stick when it was first introduced into the world if you can remember that. However, I planned a strategy to avoid the massive competitor and to find my own place in this market, I decided to focus on a niche inside the new market and my plan was not to compete directly with the other products but to brand and customize my product in a way that I will fit better to a specific group of consumers within my market. In that niche there is, today there is only one direct competitor, it’s a big known brand, it’s big also outside of Amazon and between the two of us I’m the low cost choice. I just figure that if I can get just 20% of this Amazon pride I will do fine. I started selling my product in February, a month ago. I think I did everything by the book but unfortunately sales are not so good. I believe my title and bullet points, description, images are solid and I have today about 70 reviews with very good rating. Sales are only one unit a day, some days I don’t sell any. Also almost none of my sales comes from PPC campaign. I’m not sure why but I get very low impressions on PPC. The strange thing is that I have a campaign that runs on my direct competitor keywords, the big brand that I told you about just a second ago and I don’t get any impression from the campaign. I pay less than a dollar for the last month. It feels like either Amazon is locking me from competing with him or maybe nobody is reaching for his product but it doesn’t really make sense because I know he sells… Jungle Scout says he sells 50 products a day. This is more or less the situation, my question is do you think it can be resolved or should I move on to my next product? Thank you very much guys, ciao. [00:09:50] SV: Okay. Chris what do you think? I am going to let you have first take at this, what are your first thoughts from Amir’s question or situation I should say? It’s not even a question, there are some different things we should talk about here and I have some thoughts I know you do too. [00:10:05] CS: There’s a couple of things here, it’s sounded like he knew coming into this that it’s going to be a bit of a trendy product. Scott you and I happen to know what this product is just because he sent us a link to it but the first thing that I did after you and I sat down and started talking about this was I went to Google Trends and looked. It is a very trendy product when you look at Google Trends, it goes straight up and straight down and then straight up the straight down, the interest in it is really, really up and down in terms of the broad category of this product, right? Not necessarily the thing that he’s niched but the main people that would be competitors of his, with the same type of product, the search volume for those goes way up and way down. That was the first thing that I noticed. While there may have been a lot of volume in the fourth quarter, it’s not necessarily as much volume there now. Another thing that concerned me a little bit about this product is just kind of the overall price point, I know that’s not something that he necessarily brought up and we don’t know what his margins are but just looking at the market in general, it’s probably something that I wouldn’t have chosen because of the lower price point. The third thing that I noticed and he did what is traditionally good advice and it’s pick a niche inside your product and go for it. On Amazon that can be both a blessing and a curse, while we do want to pick a niche, let’s say, people who want to cook better at home right? 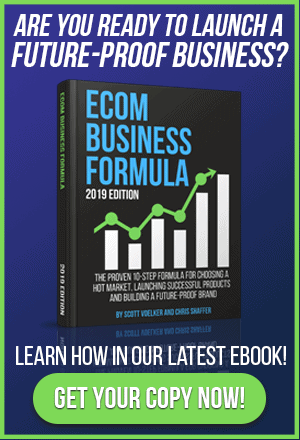 On Amazon it’s going to be a broader niche, you’re not necessarily going to tailor your product specifically for one audience inside of a niche, does that make sense? [00:11:42] SV: Yeah, yeah totally. [00:11:44] CS: It’s a little bit of a different game on Amazon than it would be in a traditional marketplace. If you were to start a company off of Amazon it’s totally normal to go out and say, “I only want to work with professional chefs. That’s who my audience is going to be.” On Amazon it’s a much broader base than that and you can actually hurt yourself by limiting your niche that far on Amazon and just knowing what the product is I think he may have done that a little bit because the market that he’s going after isn’t really the same market that would traditionally buy this product. I totally understand how he got to where he is but the main product competitor that I think he’s talking about is a completely different product category. It’s something in a different category on Amazon and it’s something at least if I was looking for it, I would be looking for that specific thing, I wouldn’t be looking for what he has, does that make sense now? [00:12:39] SV: Yeah, it totally does and I’m just going to cut in here real quick and yes. There’s definitely a search that could be done for this exact thing so with that being said, you need to make sure that you’re definitely targeting that one thing, right? I kind of think he is but I kind of think he’s not. I know you and I both looked at the category that it’s listed in and we do think that it could probably even go into another category. Whether that’s your main category or a secondary category, I believe that you could probably do a better job in the category. I know we’ve said before that category doesn’t necessarily do a better job as far as like search goes but why not be in the right category that could give you more eyeballs. Does that make sense Chris? [00:13:29] CS: It does and that’s something I also want to kind of touch on here quick is, he talked about he’s struggling in the competitor PPC campaign. It’s the competitor that you and I think it is, that competitor is in a different category and one of the things that I’ve noticed and that a lot of people on the TAS community have pointed out is that, even though you’re going after those keywords, if it’s a category that’s slightly different from the one that you’re in, you can bid a lot more and still not show up for PPC which is probably one of the reasons that he is not seeing a lot of impressions on that PPC campaign. If he were to put it in the same category that his main competitor is in, the person that he’s going after, he might actually see a little of a better result. [00:14:13] SV: Yeah, absolutely and I want to go back to what he had said I want to highlight something for people that are listening because I think this is pretty cool to kind of I think pull this out of what he had said in the very beginning and that was, he received this or saw someone that received it, I forget it if he received it or someone received it and he was just blown away, he was like, “Wow, this thing is awesome.” Right? Like,” This is cool, this is something I’ve never seen before.” That triggered his idea to go launch something. Now should he have did more digging and more research? Yes, but I just wanted to highlight that as we are find product ideas doing stuff like this right here and then taking that information and bringing it over to Amazon and seeing if there’s a market or demand or competition, that’s a great way to find new products. That’s what he’s done here and he did try to put a unique spin on it and I think it’s clever but one thing I want to point out before we even go any further here is the very first thing when I pulled this thing up, I didn’t even know the product was and the very first impression that I got from it was totally different than what the product actually is. [00:15:23] SV: Is that correct? [00:15:25] SV: It did the same thing for you right? [00:16:53] CS: It’s the thing that sets him apart and it’s really cool but it’s not necessarily what people are looking for as they’re scrolling through the listings because it doesn’t represent at all what the product is. His second image does a much better job of showing kind of both aspects of what the product is and that it is different from the other stuff that’s out there than the first one does. [00:17:15] SV: Yeah, I absolutely so that would be the first thing I would say. That could help you to really say that that’s going to make you sell 15 a day, I can’t say that but as I’m looking here too Chris and correct me if I’m wrong but I don’t even believe he’s page one for that main keyword. Now, there’s a bunch of different keywords that you’re going after I can tell there Amir but it doesn’t look like this particular one which I would think would be the main one because every other one has this as almost as their first keyword and if that’s the main keyword you’re going for, I don’t see you here which is fine because there’s other keywords that you could probably be going after and I’m going to jump over to page two and see if there’s anything there even, no page two. Jumping over to page three, so basically you might as well even say you’re not even visible, right? That would be the other thing it’s like, “Okay, how many units do we have to give away to be page one and if we aren’t page one we better make sure that we’re optimized, we’d better make that that picture is going to explain exactly what it is and I don’t know necessarily if I would go too crazy with the Pay Per Click just yet. I would probably want to get my listing optimized, I would want to get my avatar that I’m targeting a little bit more fine-tuned so I can know who I’m targeting with this particular device because this device could actually, like Chris said, it could go after a wider net and you don’t want to exclude them but you do also want to call out on the one that it’s niched out for but you don’t want to lose the ones that are looking for just the generic one either. The other thing that I’m looking at too is the price point, I don’t know if the price point changed since the time that you launched to the time that it’s selling now but I mean the most expensive one right now that I’m seeing is like $19.90. I’m not even sure if that’s the same, let me see here, I’m on a hover over, no that’s a different device altogether. The one that I’m looking at that would probably be like the main one selling right now is $16.99 and $16.99, they’ve got 1,520 reviews, alright? The next one I see is $16.99 again, they have 800 reviews another one is 9.99 almost identical and it’s got 1246 reviews. I don’t know what the profit margin is but that’s a really low price point, it kind of seems like you’re going to start running yourself to the bottom. Those are some red flags right now, I’m not really sure what it was when launched but if we looked at this before we even launched we probably wouldn’t be having this conversation because this product might not have even gotten launched, what’s your thoughts on that Chris? [00:20:05] CS: Scott it sounded like a [inaudible] he says I wish I would have been in the PLC before I was through the process of selecting this product because I probably wouldn’t have picked it. 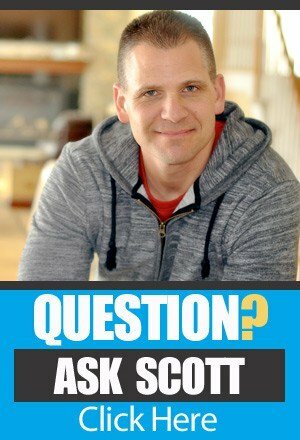 It’s kind of sounds like what he said but he’s overarching question Scott is, should he just scrap it and pick a different product or is there still some stuff he can do. Correct me if you have a different opinion, I think there is still some stuff that he can do with this and my first one would be to change the category. Right. We know he’s going to sell like one or two a day kind of which is what he was saying in the category that he is in now but it’s going to be a struggle. If changing that category even gets him to three or four a day, that’s probably worth doing. I would tend to think putting it in that same category as his main competitor is going to get him at least in front of the right people and start to push him in that direction, does that make sense? [00:20:55] SV: Yeah it makes total sense and I guess the other thing that I would add to that is as long as you can optimize what you already have, you’re selling one or two maybe every other day, that’s fine. If you don’t have a ton of inventory and if you can improve that, even maybe run an auto campaign just to kind of get some data going and then from there may be a low bid, maybe just try to grab some of that low-hanging fruit. It seems like you have over 60 or 70 reviews now, I think that your reviews are going to be okay, if you’re going to start running some Pay Per Click but you really need to make sure that if you’re running Pay Per Click that everything else is really dialed in. I just actually did a periscope yesterday after I did a coaching call, Chris I don’t know if you caught any of that but I basically recapped what I talked about and it’s very similar to this situation because now after the launch, they’re not really getting the sales. They’re getting like two to four sales a day but very first question I asked this person that I was coaching was, let’s look at the numbers. How much is everyone selling right now today? It was basically about couple a hundred per month. You’re kind of doing what everyone else is doing really, you’re not too far off. I mean with a little bit more work you could probably be at your seven a day because that’s what everybody else is doing right now. I think you have to look at the numbers and when you first get into this you need to understand that either you’re launching at a time that it’s peak … This gentleman that I was talking to yesterday, he was launching in the fourth quarter, so obviously numbers are a little skewed there, now all of a sudden we come into after the fourth quarter and now we’re wondering why the numbers are down. You need to look at the trends, you need to look at historical data, go to Camel, Camel, Camel, look at these other products, see what they’ve done through the year with the BSRs and all of that stuff and really do that background check in a sense and I think that even though this thing is launched I don’t think it’s a loser, I think it can still work but my next question to myself would be how much time and effort do I want to spend on this or should I pivot and go to a different market? I look at this too and go like, “Okay, what other products could I sell in this line, we’re always talk about having at least three to five products and a product line, what can we do here? What other products? There’s probably other products, I just don’t know what they are right now and maybe it’s just something that you wanted to launch because you thought that it’s a cool product and you thought you could sell a few, that’s fine but I would want to see, what kind of future I could have for a brand around this. I’m not really sure you could because I do think this is a trend, that’s my thoughts here Chris, what about you? [00:23:34] CS:I would agree with that completely, I think the thing that’s interesting is he picked a niche that has a lot of possibility for additional products and if this is a niche just in general that’s interesting to him and I think there’s a lot of products in this space in terms of who he’s targeting with not necessarily with this product or product line specifically that he can capitalize on and then maybe down the road, sell them into these products via an up sale or cross sale or something like that. There still is a possibility of some of those related things and I think the niche itself is good, I just don’t necessarily know that this product fits that niche. [00:24:11] SV: Well, let’s kind of let’s do this real quick, let’s pretend this is a selfie stick, let’s pretend, because that’s what he kind of equated it to. Let’s just say that it’s like a selfie stick and when it came out, I’m sure people were doing really good with it but guess what now. Now all of a sudden, everyone is selling them or they’re trying to sell them and they’re ridiculously low-priced and you can barely keep your head above water. If this is that type of product Chris, what do you do with it? [00:24:41] CS: The first thing that I would do is, I would do what we said earlier and change that primary image and the overall strategy here for me would be to optimize it as much as possible and then let it run. I wouldn’t get in and tweak it daily like you might do with some other products, I wouldn’t probably even get in and tweak it weekly like I would do with some other products. I would make sure that my title, my bullets and my images were optimized for the niche that I’m going after. I would change that category and then I would start running that little bit PPC campaign that you talked about just to see what I can pick up. Chances are if he does those things he’s probably going to maybe jump to four or five sales a day if he’s in the right category. Even selling one or two a day it’s not going to be a total loss, it’s just going take a little bit longer to recoup that money. I would take that time that you’re saving from even worrying about the product once you get it tweaked and optimized a little bit and I would invest that in finding another product in the same niche. Now, with the selfie stick where do you go from there? With this one I would look at the audience that he’s targeting. Let’s just say that we have a selfie stick targeted the teenagers. What else are teenagers interested in? What are the things that would get their parents to buy them a selfie stick? Right. Not necessarily an accessory for selfie stick but something that may relate to it. Props, masks, the photo booth kit. Right. Scott, you were a photographer did you ever do a photo booth at a wedding? Did you ever see those? [00:26:19] SV: I’ve seen them actually participated in them but I did not do that. That wasn’t our style Chris that wasn’t our style but they do well. [00:26:25] CS: They do a lot of things like they have boxes of accessories of things like they have boxes of accessories. If you were selling selfie stick then maybe also sell a box of masks and the wigs and all those kinds of things that people would have if they are sitting around just having fun on time. [00:26:39] SV: What would be a cool idea with the selfie stick, I just thought of this, maybe that could be a wedding gift at the table and everyone has a selfie stick at the table and then from there they do like selfie shots of their tables. They can do like highs shots and all that stuff. Just a little thought there. You can market that to people that are wedding planners or people that are buying a wedding gift and that that could be a fun little gift to put on the table and then also get some really great shots for … You can even have people post them on Facebook and all of that kind of stuff. Anyway, just saying. [00:27:10] CS: That kind of replaces the disposable camera at the table if you remember that. [00:27:14] SV: I do.. We actually had them at our wedding and that’s a cool little thing but … I think you just got to be creative. I actually know someone that was selling selfie sticks and he has a bunch of them still and now what he’s doing still is he’s taking them and adding them as an accessory to something else as like a bonus. This way here he can still recoup and get rid of them. That’s another option but in this case I don’t think this is really I think as much as the selfie stick. The selfie stick is definitely a lot more and I don’t think this thing would ever become like a selfie stick but I get what he’s saying. It’s more of that thing that is cool right now but it not be as cool a year from now. There might be something different that would replace this. I agree. I wouldn’t give up on it but I wouldn’t spend a ton of effort. The one thing I would probably do and I actually suggested this yesterday on that coaching call was I would do a reverse search on your top three. I would do that through the simple keyword inspector tool. I would see what they’re ranking for. I’d see how many keywords they’re ranking for. Then from there I would throw them into a campaign maybe a low budget campaign and try to just pick up some of the scraps, pick up some of low hanging fruit and see what happens. What are your thoughts on that Chris? [00:28:33] CS: That works. The thing that he would have to figure out is whether he wants to go after that main competitor that he was talking about or if he wants to go after the other people who are selling similar products because I don’t think the main competitor is selling … They’re not selling exactly the same thing. If it’s the person that you and I are thinking of. What I’d probably do is I’d run maybe the top three in the same category that he’s currently in who are selling the same product and then I’d also run one on that main competitor who’s in a different category to see what they’re ranking for so that if you chooses to move to that other category … I can’t speak and really go after the market that he’s already targeting then he’ll be prepared for that as well. He can hit it from both fronts in that new category. [00:29:23] SV: I love it. We gave some pretty good insight here and some good ideas to go off of. I would just say again, treat it also as a learning experience. Treat it as it’s not a total failure. You still could possibly do okay with it and not to mention and this is another thing that I said yesterday on that coaching call was, this maybe something that could do really well in fourth quarter, gift giving and stuff like that so maybe you just keep it going to keep it rooted. Keep the roots growing in a sense and then in fourth quarter you’ll be starting to show up for all of these different keywords as are being searched for and then must make sure you plan for that, have some inventory and then blow them out. That’s another option. It’s just a longer term play but yeah there’s a lot here that you can take away from this and not just saying yourself you picked a losing product. I don’t think you did. I think you learned but I also think you’re going to pick better products in the future and going back to the product research. It’s so critical and so vital and it definitely is worth spending the time and if you guys are brand new just listening to the podcast, I would definitely suggest to those two episodes that we did on this in depth hence depth of market. You’ve got episode 56 with Greg Mercer that’s theamazingseller.com/56 and then also 161, that’s theamazingseller.com/161. Chris, we’ve got about one minute left on the clock because we’re doing this in 30 minutes. We have to do these in 30 minutes at the live event. Chris, now we got about 45 seconds. What could you give your last parting words of guidance or takeaways? [00:31:09] CS: Depth of market, depth of market, depth of market. While you’re trying to keep your product unique and different, you don’t need to try to reinvent the wheel and that’s one of the things that handicapped Amir in this situation is he wasn’t necessarily differentiating the product for the existing market. He did create a new market and there is room for him in that new market, he just needs to figure out how to optimize it for that space. [00:31:34] SV: Perfect. Look at that. Well done with 15 seconds to spare and I will say this. The first thing that I would say to do is change that main image. Number one thing like you can do that like now. Change that image make it so people know exactly what it is and then change the category. Those will be the first two things. Alright. Chris this has been awesome. You guys know that we love doing this, we love talking about this stuff and the hot seats are again something that we’re going to be doing more often so Chris will be coming on with me. We’ll do more hot seat sessions as they come about I guess as we get more in and that we think that are going to be beneficial for the audience. I just again wanted to say thanks for everyone that’s tuning in. Chris, is there any last little bits of advice that you’d like to give before we wrap up this show? [00:32:21] CS: I think I’m good for today brother. [00:32:22] SV: You’re good. You just already said it. Depth, depth, depth. Alright, you enjoy that chicken broth by the way. [00:32:28] CS: Oh I will. [00:32:29] CS: Alright guys. That is going to wrap it up. You guys know that Chris also do a live workshop totally free. We jump on. We spend about 60 minutes going through teaching the entire process to pick a product, source a product, do a launch, do a promo. All of the stuff in between. We answer live Q&A and we do all of that fun stuff in a live workshop. If you guys want to attend one of these live workshops it’s a virtual workshop so you will be connecting wherever you are in the world and we have people all over the world. Australia, the UK, all over the place. You can just head over to themazingseller.com/workshop, once again that’s theamazingseller.com/workshop and like I said, we give work sheets, we hand out, we give downloads, we give all the goods right there on the workshop and would love to have you attend and hang out for an evening or an afternoon. Whichever we decide to do that particular week but you can register at that link. Alright guys. That’s it. That is going to wrap up this episode. Remember, I’m here for you, I believe in you and I’m rooting for you but you have to, you have to … Come on, say it with me and say it loud and Chris get ready to say it with me on the count of three, one, two, three, “Take action.” Have an awesome, amazing day guys and I’ll see you back here in the next episode. www.TheAmazingSeller.com/162 and www.TheAmazingSeller.com/164 – previous “Hot Seat” episodes. www.TheAmazingSeller.com/live – how to get involved in future live events. www.CamelCamelCamel.com – a site to research trends on your products. www.TheAmazingSeller.com/workshop – Get into the live workshop next time Scott does it. Thx for all your podcast I’ve been listening religiously. If my company is called X and I have 2 (A and B) products in 2 different categories, and I created 2 different logos for A and B products but they both have different names, what is going to appear under sold by ? My mother company is X and I want these 2 product labels A and B to appear with their logos. Your company name (entered into your seller account details) is what will show up in the “sold by” the individual brand names will show up in the “brand” section of the listing. Make sense? It was helpful to hear you help someone through a real issue. Thanks so much Scott! First of all, thanks so much for this site and the podcast, amazing wealth of free information! Regarding depth of market. I have no experience on Amazon so hard for me to gauge depth. I’ve seen other videos and tutorials on Jungle Scout with guidelines but some of those are a year or two old so not sure how much the game has changed since then? I do see in there are about 10 other sellers all doing 300-1,000 sales a month. All have studied the same strategies (optimized listing, blogger reviews, etc). Highest has 300 reviews, some others have 150. I feel I can get into the market with a better accessory and could drop price a few bucks but not sure if there are too many red flags? Hey Marcel if the top 10 sellers are doing more than 3000 combined, the reviews are around 200 on average and you think you can squeeze in and be different….it would certainly be worth taking a look at!